Our choices make an impact on our health. It is a very simple concept but most of us don’t make that connection… somehow we don’t pay attention to what we are putting in our mouths.. well, we should. I am glad Jamie sat some kids together and discussed calories and lack of exercise and what it does to our bodies. As parents it is our responsibility to teach our kids how to cook and eat healthy foods. We need to show them how each meal needs to be balanced with protein and healthy carbs including fruits and vegetables. For those of us who work in addition to taking care of our families- we need to organize ourselves and plan meals for the week on the weekend. I realize people are busy but it is important to break the junk food cycle and teach our kids how to live healthy and make sensible choices for themselves. 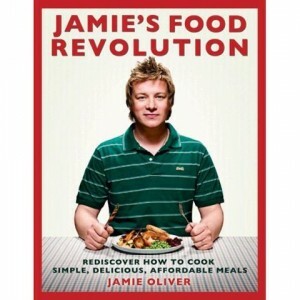 Thanks to Jamie Oliver, some people will make this change and start to live healthier lives…. It was a bit unclear why the show stopped airing on ABC once the month of May began. After looking it up on line, I realized it was all a ratings issue. May is the month when all networks put on their best shows to boost their ratings and viewership. Jamie’s show was not doing as well as last year so they put it on a hiatus until the May sweeps were done. I guess I understand their reasons but find it very sad that a show like this couldn’t make it in. Anyway, it is back and it is nice to see Jamie back to the good work he does. It was interesting to see the exchange between the young girl and the restaurant owner. I can see the girl’s point of view and how she thinks the fast food joints are the reason for her family’s diabetes problems. I can also see the owner’s point of view and how everyone has a choice.. but the problem is when people don’t have time or the money to prepare healthy, fresh food for their family, they go for the easy, fast food. It was shocking to see how many high school students did not know where butter, chocolate or cheese come from. It is our responsibility as parents to teach our kids about food. I am quite strict about what my daughter eats when it comes to candy, etc. I can’t wait for her to see when Jamie goes over how the candy is made and what all goes into the crap that is out there in the supermarkets… worth a watch and very eye opening. A big hug and kiss for Jamie Oliver for what he is doing for our kids. As I watched the show last night, I couldn’t believe all the hoops he had to go through to get into the Los Angeles school cafeteria. Obviously they have something to hide- why else would they create so many hurdles. Bottom line- we as parents have more power than we think. Our kids should be eating healthy, good food and we should know where the food is coming from. It is important to teach our kids to eat healthy and hopefully keep far away from diseases like diabetes. It was heart breaking to hear that girl’s story about her family being sick all the time. I love what Jamie did with the healthy burgers. It is amazing how good food can be especially when it is healthy. It is important to bump up the flavor with lots of spices and herbs. I couldn’t believe the owner claimed his customers are not looking for quality- just quantity!! Really??? Maybe that is the problem- we don’t demand good, real food. Well, we should ask for good, reasonably priced food. It doesn’t help matters when places like McDonalds and Burger King are always full and doing better business every year. If we can’t afford to go out to places serving healthier food- we need to cook at home and serve our families good food. I agree with Jamie- we do deserve better. I am so happy to see Jamie Oliver back on television. Don’t get me wrong- I watch him all the time- cooking with the kind of passion that generates huge amounts of pleasure. His passion is contagious. Last year when he started the Food revolution, I was thrilled and grateful.. someone is doing something and getting people aware of what we are feeding our kids and ourselves. I try my best to feed my family healthy food but unfortunately the stuff served in schools is a different story. Right now, my daughter takes lunch from home- thank God.. but I know as she gets older, she is going to want to eat at school- and that thought is super scary, especially knowing what is being served. It scared me watching the show last night- what was that food they showed??? There is no cooking going on- my rule is – if food given to me that does not have an expiration date- I will not eat it. There is something wrong when our kids are given this crap. It is so important to know where our food comes from. When Jamie showed what parts of the cow is being used at our schools- I was not shocked. We have the lowest standards for food in our schools- imagine.. that is what our kids are eating. I was sick to my stomach… and at the same time wanted to give Jamie a big kiss for putting this in front of all of us and making us aware. We need to stop eating fast food and giving it to our kids- to me the big fast food places are the biggest culprits. There is nothing wrong with a burger- but I want good quality ingredients in my food, which most fast food joints don’t use. Good for Jamie to try to revamp the menu in that restaurant… at the end of the day- we need to demand where our food comes from. Sign the petition for serving plain milk in schools. 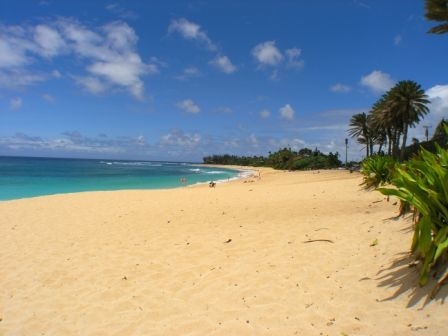 By the time you read this tomorrow morning, I will be relaxing on a plane with a friend heading to Ft. Lauderdale, FL. I am super excited since we have been planning this trip for a while and finally all three of us were able to agree on a weekend. By all three I mean- myself and two of my college friends. Two of them are turning forty this year and all of us thought it was a great occasion to go away- just by ourselves without the kids or the husbands. The last time I went away, alone was over four years ago when I flew to Paris for the long weekend. A friend was working there for a couple of years and I went to visit her. It was fabulous and very memorable- especially the food. I remember going down to an open market with her early in the morning and purchasing some snails, which we devoured right after we enjoyed a coffee with a fresh croissant. Speaking of the food- that is what I am looking forward to the most this weekend. I can’t wait to try some delicious Cuban and any other ethnic cuisine that will be come my way. The funny thing is, my husband tries to convince me not every trip can be or should be a culinary experience – but I disagree- and why not??? 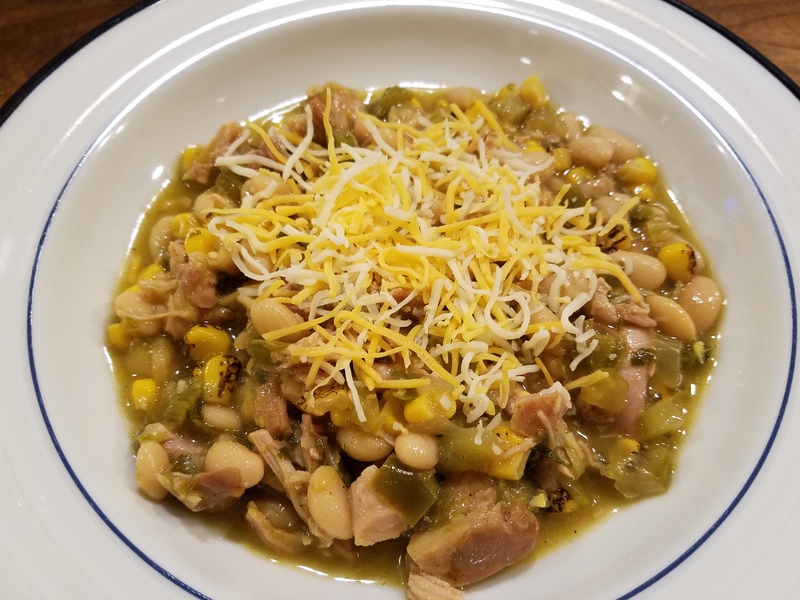 I don’t need to go to a fancy restaurant to enjoy the food- I just want to eat great, delicious food cooked by someone who loves to feed people. It is amazing how good the food is when it is made with love and care. Besides the food, I am looking forward to the spa treatments we have planned. I can’t wait to relax and enjoy my friends and eat great food- okay there it is again- the food. I can’t help myself- no great occasion is complete without delicious food and drinks. I hope you get the opportunity to get together with some family or friends to enjoy great food and conversation this weekend.